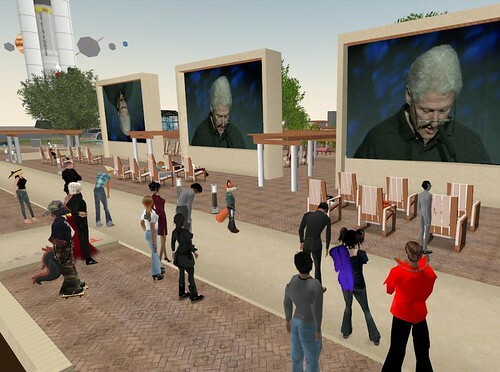 Virtual Architecture as the Ultimate Green Design Strategy? Just a thought: Should architects take responsibility for suggesting the augmentation of the real-life spaces they design with virtual world counterparts? If a percentage of a real-life architectural program can eventually be accomodated virtually, thereby reducing the size of the building, and commuting time, does it deserve LEED recognition? Future discussions/posts and meetings to follow! =) Let’s chat it up. Architects from Plovan (Poland), Stockholm (Sweden), Cairo (Egypt), London (England), Florence (Italy), Copenhagen (Denmark), Alberta (Canada), Boston, Berkeley, Virginia, Colorado, Chicago, and Seattle (US) came to discuss 3D Import Tools (or lack thereof!). Check out the 10 AM trasncript HERE, and the 7 pm transcript HERE. Fascinating stuff. Thanks! 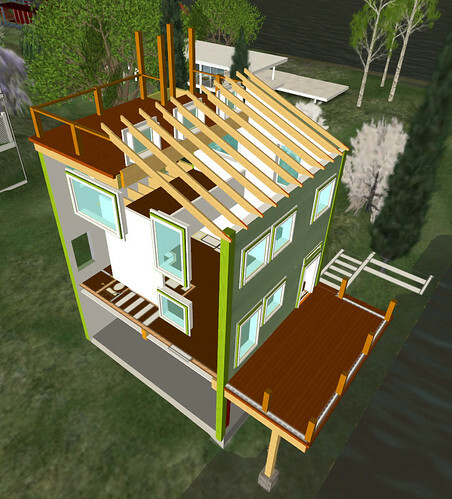 As architects and designers, most of us long for the advent of a 3D import tool. 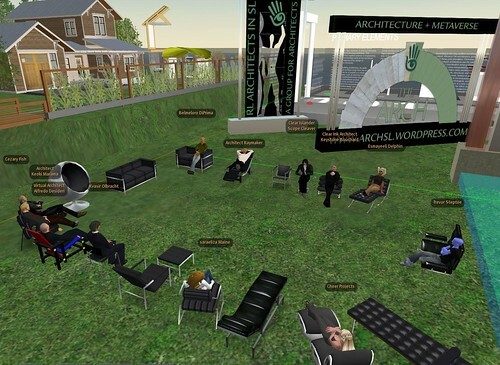 In what ways would such a tool impact the architectural landscape of Second Life? How might it impact the economy? Will it offset the level playing field of the in-world building tools? Will it ever be possible? Let’s chat it up! Hope to see you there.